MORE than 40 medical emergency alerts, including five further suicide attempts and numerous instances of self-harm, have been recorded at Hydebank Wood prison since the suicide of two inmates in May of last year. The Detail can reveal that a total of 16 Code Blue and 25 Code Red alarm incidents have been recorded in Hydebank Wood prison between May 4 2011 and November 30 2012 with the rate of incidents rising over the past two months to an average of two alarms a week. The colour-coded alarms are designed to alert prison staff to the type of response required for a medical emergency and are announced over a loud-speaker system. A Code Blue is announced when a casualty is unresponsive to voice, has chest pains and difficulty breathing or has a ligature. A Code Red is called for instances of severe bleeding or in certain instances of minor cutting or scratching. In a comment piece written for The Detail, Professor Phil Scraton, Professor of Criminology at Queen’s University in Belfast, called for a public inquiry into all self-harm, attempted suicide and custody deaths across the Northern Ireland Prison Service. Professor Scraton co-authored a report into women’s imprisonment within the male young offenders centre at Hydebank Wood in 2007. A new report from the Criminal Justice Inspectorate published today also confirms that gaps still exist in the care of vulnerable prisoners at Maghaberry Prison. Hydebank Wood houses two of Northern Ireland’s most vulnerable prisoner populations- young offenders and female inmates. The Young Offenders Centre holds approximately 200 young men aged between 17- 24, while Ash House is Northern Ireland’s only women’s prison. The average population is around 50 women, many of whom have serious social and emotional problems. Female prisoners were previously incarcerated at Mourne House at Maghaberry Prison until it closed in June 2004 when the women prisoners were transferred to Ash House at Hydebank Wood Young Offenders Centre (HYOC). Ash House is a stand-alone residential unit in Hydebank Wood, adjacent to the male accommodation. The Detail submitted a Freedom of Information request to the Northern Ireland Prison Service asking for a detailed breakdown of Code Blue and Code Red alerts. The response showed that 15 of the 41 alarm incidents took place in Ash House, while a further 23 were recorded in three of the four houses for male young offenders (Beech, Elm and Willow) and three were in the Care and Supervision Unit (CSU). Twenty-nine of the alarms were the result of self harm/attempted self harm incidents, five were categorised as attempted suicide and a further seven involved incidents such as falls and seizures. Click here for a full breakdown. There is also evidence of a marked rise in the number of alarm incidents in the past number of months when compared to the same time last year, with the number of coded alarms averaging at two a week for October and November 2012. Last month saw the publication of the Prisoner Ombudsman’s Death in Custody reports on Frances McKeown and Samuel Carson. 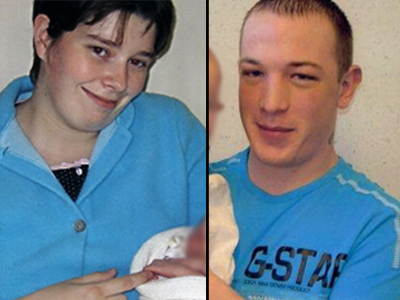 On the evening of May 4 2011 at Hydebank prison, in the space of five hours both individuals had taken their own lives. The report into Samuel Carson raised serious issues around bullying, while the investigation into the death of Frances McKeown questioned the ability of the prison service to deal with inmates that have complex mental health issues. The report into the suicide of Frances McKeown outlined that at 5pm on 4 May 2011, Frances’ landing was unlocked so inmates could have their tea. Within a few minutes an emergency code blue alarm went off in Elm House and was announced over the prison tannoy system. The Code Blue incident concerned the death of Samuel Carson who had been found with a ligature around his neck. As previously reported by The Detail, the announcement resulted in Frances and the others prisoners from her landing being put on lock down. The Prisoner Ombudsman’s report contained diary extracts that outlined Frances’ frustration at being left in her cell again. The report also outlined that on entering Frances’ room, she was found unresponsive with a ligature tied around her neck and attached to a point in her room. However, on this occasion, no emergency alarm was sounded. The Prisoner Ombudsman Pauline McCabe previously told The Detail that since both deaths the prison service had taken steps to ensure that alarms taking place in the two establishments would not lead to an automatic lock down in the other. We asked Ms McCabe to comment on the latest figures obtained by The Detail. She said: “The level of reported alarms and incidents of self harming in October and November is certainly a matter of concern. Many of those sent to prison suffer from mental illness, personality disorders and addiction problems. They might already have a history of self harm and keeping them safe in a custodial setting can be very challenging. “Significant efforts have been made in recent years to improve the arrangements for managing those in prison being at risk of self harm. I have, however, suggested to the prison service and South Eastern Health and Social Care Trust that there is now a need to fundamentally review the approach to caring for vulnerable prisoners. At the heart of their care has to be the issue of how inmates spend their days. The McClelland Review of six non-natural deaths in prison custody in Northern Ireland between June 2002 and March 2004 as well as the prisoner Ombudsman report into the death of Colin Bell, look specifically at the issues of suicide and self harm. Colin Bell was on suicide watch at Maghaberry jail when he took his own life in July 2008. A Criminal Justice Inspectorate (CJI) inspection into the women’s prison at Hydebank that was published in October 2011 outlined that there should be a dedicated safer custody manager and a safer custody committee specifically for Ash House focusing on anti-bullying, the prevention of suicide and the reduction of self-harm. It also outlined that formal investigations should be conducted into serious or near-fatal incidents to establish what, if any, lessons could be learned. Inspectors had identified that learning points were not shared with relevant managers or incorporated into action plans to inform local practice and findings were not sent to the director of prison health at the South Eastern Health and Social Care Trust. In a reply to a written assembly question in October 2012, Justice Minister David Ford outlined that in 2009 there were 15 recorded incidents of attempted suicide across all three establishments. However, following the introduction of the SPAR process and improved record keeping, there were 69 recorded incidents of attempted suicide in 2010, 77 incidents recorded in 2011 and up to October, 75 recorded incidents of attempted suicides in 2012. 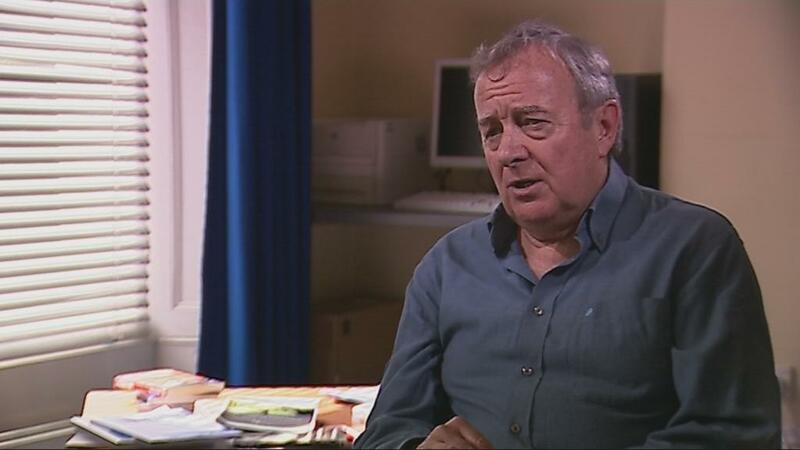 In July 2007, Professor Phil Scraton, Professor of Criminology at Queen’s University in Belfast, co-authored a report into women’s imprisonment within the male young offenders centre at Hydebank Wood. The report made 55 detailed recommendations for fundamental changes to the context and circumstances in which women are imprisoned in Northern Ireland. Nineteen recommendations focused on healthcare needs. Professor Scraton says the latest figures highlight that huge challenges still remain. He said: "The Detail’s disclosed Freedom of Information responses demonstrate that despite the transfer of prisoners’ care to the South Eastern Health and Social Care Trust, the severity of the issues raised by our work remain unaddressed. The contradiction of delivering appropriate care and treatment to prisoners with complex healthcare needs, particularly mental ill-health, in regimes that prioritise discipline and cellular confinement remains. “As our independent research concluded, a resolution can be found only through developing appropriate alternatives to prison to ensure that vulnerable prisoners are understood, protected and helped. The first principle has to be ‘first, do no harm’.